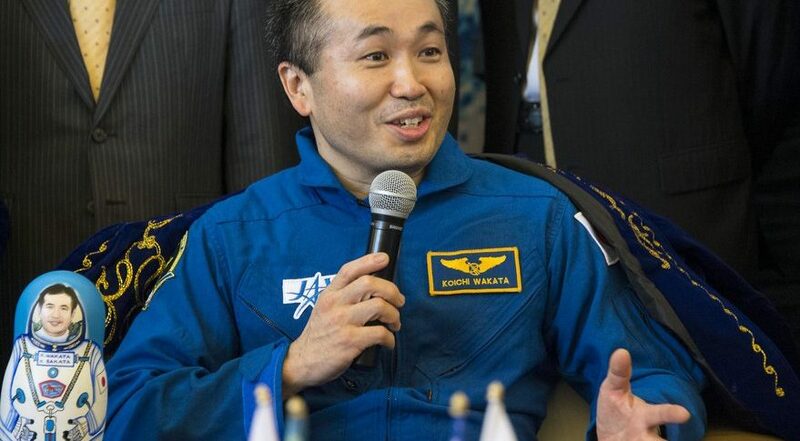 Koichi Wakata, the Japanese space agency’s vice president and director general for human spaceflight technology, is intimately familiar with the International Space Station. As an astronaut, he helped assemble the space station in 2000 and lived onboard for four months in 2009 and six months in 2013 and 2014. Now, Wakata leads JAXA’s preparation for the eventual transition from a single government owned and operated outpost to one or more new stations in low Earth orbit (LEO). Wakata spoke with SpaceNews correspondent Debra Werner during the ISS Research & Development conference in San Francisco June 23-26. You helped assemble the International Space Station and commanded it. What are your thoughts about the President Trump’s proposal to end direct U.S. funding after 2024? We are closely following the U.S. government and NASA discussions. LEO is an important field for human space activity. LEO utilization will never end. We need to expand it. Now, we are focused on fully utilizing the asset, including the Japanese Kibo module, which I had the pleasure of helping to build. We have launched 218 satellites from Kibo, many with NASA and NanoRacks. We have launched the first satellites for many countries, Ghana, Mongolia, Kenya, with bilateral cooperation and support from the United Nations Office for Outer Space Affairs. We are glad JAXA’s Kibo module is contributing. Japan has discussed human missions to the moon. Yes. Prime Minister Shinzo Abe asked us to accelerate our technical assessment. This will be an international cooperative project. Is Japan interested in NASA’s Lunar Orbital Platform or Gateway? Yes. Japan wants to participate in the Gateway in an active and visible manner. We have not yet determined what that will be. Countries are discussing how they will participate. It is a healthy balance of competition and cooperation. There are four areas of technological development we are focusing on: deep space logistics supply, landing on the moon’s surface, transportation or roving capability, and environmental control and life support for long-duration human missions. Tell me about Japan’s new cargo vehicle HTV-X. In September, HTV will perform its seventh mission. It has flown successfully six times in a row. We are developing a new cargo vehicle, HTV-X, to reduce operation costs. HTV will fly missions seven, eight and nine. The new vehicle, HTV-X, will fulfill Japanese obligations for cargo transportation from 2021 to 2024. It could also be used for post-ISS exploration. How is JAXA’s use of the Kibo module changing? 2018 marks the tenth anniversary of Japan’s Kibo module after assembly was completed in 2008 and 2009. We are transitioning to make part of Kibo utilization independent of JAXA. In the years to come, we would like to run a joint public-private business in microgravity experiments in LEO. That’s a goal. We would like to increase the initiatives from the private sectors. We hope they will be primarily funding investment in LEO operation. We also hope to maintain the government’s research and development capabilities. Maybe the government will be purchasing those services from the private sectors. How are you using the Kibo module? We have four areas of primary utilization on the Kibo module: small satellite deployment service, external platform utilization, protein crystal growth experiments and aging research support. We are prioritizing crew resources and operations for these aspects of the utilization. We would like to transition the business to private industry, depending on the maturity of the market and also the maturity of the technology. For example, in May, we selected two companies, Space BD and Mitsui Corporation, as the integrated service providers for cubesat deployment. We gradually would like to expand this transition to private industry for utilization of the external platform, protein crystal growth for drug design and also aging research. We also have a new approach we call J-SPARC, JAXA Space Innovation through Partnership and Co-creation. Instead of JAXA creating and developing the capabilities or technologies and transitioning them to the private sector, we are starting to provide conversation and consulting opportunities to private industry partners. We have JAXA technical experts, who are very familiar with the utilization and operation of ISS, involved in the initial phase of business development, especially for companies that are not very familiar with space-related operations. We consult with them and together with those companies, we create new businesses. Eventually those businesses developed through this J-SPARC program will get to this level of prioritized utilization. That will enhance the commercialization and eventually lead to different areas of private industry involvement. We hope it could lead to more usage of LEO in the entertainment business, for example. And space tourism is a very attractive field to many industries. Eventually that will lead to a larger scale of total investment in LEO. Yes. I participated in a forum to explain this program and 100 people from more than 50 companies participated. That is just the start. We are trying so hard to make LEO more attractive to private sectors. What do you think of the idea of commercial space stations? At some stage we need to be there. Even if the space station program is completed at some stage, we will not leave low Earth orbit. It will become more economically attractive arena for utilization, scientifically and technically, research and development, and also commercial utilization including entertainment, tourism, you name it. We need to utilize ISS to expand the LEO market. By involving a variety of partners, including the nonspace industry, we’ll come up with different ideas and perspectives on how to utilize LEO. It is an interesting time to discuss activity in LEO. Yes. We should not have a gap. People in this country and especially people in NASA know that it is important not to have a gap. It is one continuous effort: space station, post ISS LEO capability and exploration, Gateway and beyond. That’s why it’s such a complicated task to foresee everything. We cannot focus on one aspect. We have to look at everything, where it fits in and when we should move onto the next step. We are in a very exciting time.